When it comes to sorting, sharing and saving your files, there's definitely an easier way. ResourceSpace provides software that will cut down the time you spend searching for, producing and distributing items such as images, videos and documents, freeing up much needed resources during the hectic schedule of an artistic genius. The white paper, 6 signs you need DAM software, will help you to recognise the trouble spots in your creative process, and how they can be resolved with the use of DAM. It's free to download, and will give you plenty of fresh perspective on how you can focus less on asset admin, and gain new inspiration for what you do best; being creative. 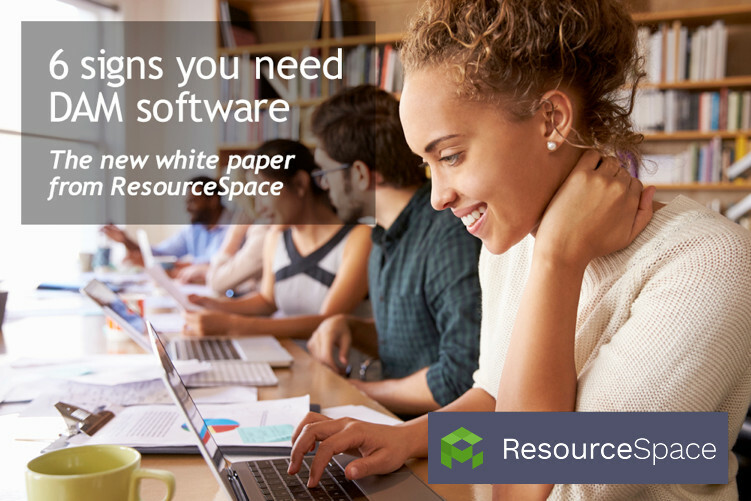 Let ResourceSpace give you back the time you need. Using ResourceSpace as a central file hub for your creative team will allow you to categorise and locate photographs, videos and documents in an entirely new way. Start your free trial of ResourceSpace today today to see how much easier it is to manage and share your assets digitally, or to talk to us further about the benefits of DAM software, simply get in touch. Download the full white paper or browse our other white papers.